Home GcmWin Screenshots Download Linux Version Make your own! 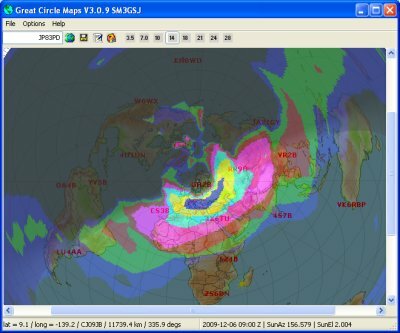 Latest version 3.1.6 - 9 may 2010. For Linux 3.1.9 - 26 december 2018. No major difference between windows and Linux versions. Linux is ported to wxwidgets 3.0.4 and compiled with more recent libraries. The main reason why I got a homepage is that I have written a program called GcmWin. 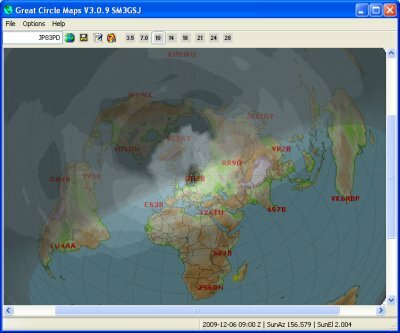 You can use this program to make Great Circle maps from any location in the world. The program has become quite popular and it is totally free! It is now in beta stage and may be lacking some features. You are welcome to download and test it and perhaps give some feedback! There is also a Linux version! 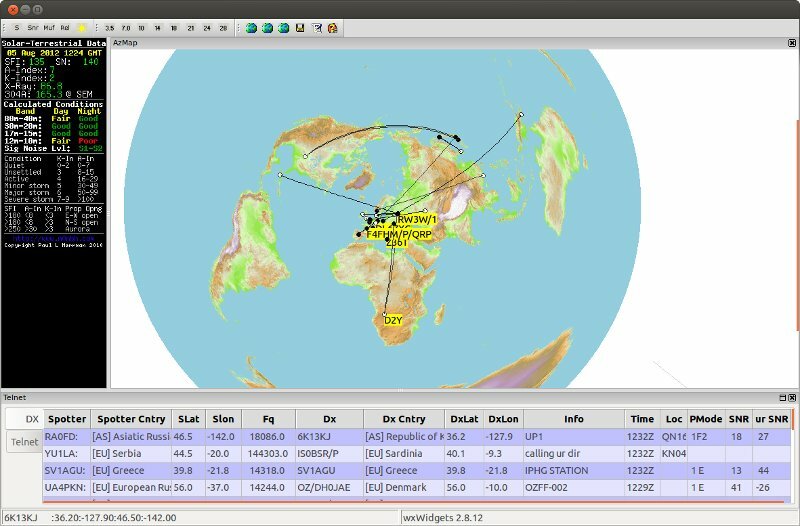 In the Telnet window you get the predicted SNR from spotter to the dx station and from yor location and to the dx! Other features of the original program.. Text and lines can be partly transparent and in the colour of your choice. You can save different settings in the configuration dialog. I am a hobby programmer and made the program as a learning excercise. The program is made with the Codeblocks IDE and MINGW compiler. The framework is WxWidgets. The original program was written in Visual Basic 3 and is still available on the download pages. It is quite outdated now. 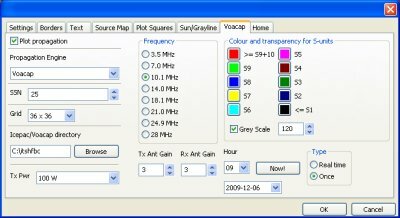 I am an radio amateur since 1973 and like Cw and digital modes like PSK31 and RTTY.